Transport Minister AUSTIN GATT tells Herman Grech he would rather be unpopular than ignore the ideals he fought for throughout his political career. Many have applauded the government’s decision to reform the transport sector, describing it as ambitious and long overdue. So why do so many remain verycynical about its actual implementation? Because I think we have a history which justifies this cynicism. The past 30 years has seen some six or seven attempts at reform, which all in some way or other contributed to the improvement but never really fixed the problem. This is the first time we have a holistic reform. It’s cast in stone, and until people see it in action they won’t believe it will happen. I don’t blame them. What have you done more than Dom Mintoff who tried to reform the sector in the 1970s? Well, Mintoff did a lot of bad things for this country so let’s not make that comparison. But he did try to tackle this sector. ... which helped to precipitate the reform. I had absolutely no plans to start the bus reform programme before October 2008. The way that strike was conducted by certain elements helped solidify the opinion of the government and the population in general that wholesale bus reform was needed. Are our notorious bus drivers trainable? It’s unfair to tar everyone with the same brush. There are 400 to 500 bus drivers and a good number of them are decent people who do the job to the best of their ability. There are a few who give a bad name to the rest. If we eliminate the few and concentrate on the majority, then, yes, they’re trainable. I’ve spoken to several foreigners and they’re impressed by the Maltese work ethic. Does that include bus drivers? Generally speaking, yes. Let’s not concentrate on the bad apples. But you’re going to be fighting perceptions as well. We are changing the whole system. Bus drivers are now employed with Arriva. If a bus driver doesn’t behave, I will fine Arriva. Today I can’t fine anybody. I have no tolerance threshold. Nowadays, everything is written in black and white. We’ve changed the law and today we have a contract. You made it clear you intend to tackle private car use next. What do you intend to do? I intend tackling it because we have air quality problems in certain areas. A Mepa report issued recently states that we are over the EU threshold in Valletta, Floriana, Ħamrun, Fgura and Msida. We will be subject to EU penalties if we don’t tackle these issues. To incentivise less car usage you have to put in place a good public transport system. We have to go down the same route as other countries to shift from cars to buses. Of course, not all cars are going off the road so we have to incentivise car sharing. You have to disincentivise the use of cars in problem areas. Other countries have a successful public transport system, and in Malta we have a mediocre bus system and an expensive taxi service. Don’t you think you should wait until you have a successful system up and running before contemplating raising the cost of driving? Fully agreed. We will do nothing at all before we know the bus system is working. You mentioned the use of car pooling. I’m assuming you’re heading towards a system where certain cars will be barred from traffic on certain days. I can’t be specific at this point of time. We’re looking at studies and seeing what other countries have done. We’re not reinventing the wheel. You’ve argued that the more expensive bus fares for tourists are not discriminatory. Assuming they conform with EU rules, don’t you think you’re sending the wrong message? If we are, then a lot of other countries are doing likewise. London, Ireland, Stockholm, Helsinki, Tallin. It still sends the wrong message. Most countries I’ve been to didn’t charge me a different rate. You didn’t know you’re being charged a different rate. We have been charging local residents a different rate to foreign residents on Gozo Channel since time immemorial and no one has protested. So why protest now? Because we’re trying to promote the use of buses among foreigners. A €12 ticket for a week’s travel for a foreigner, including airport-to-hotel transfer, plus luggage, plus unlimited travel on any bus, is competitive against any destination anywhere in Europe. Bus drivers are often accused of fleecing tourists. This is sending the message you’re institutionalising this practice. That’s an unfair question. Tell me where else you pay €12? I’m not questioning the fee. I’m questioning the discrimination. There’s no discrimination. There is a system across Europe which distinguishes between residents and non-residents. We have a good deal on new air-conditioned buses, we have 165 per cent expansion of the routes, €3.5 million (a year) less in subsidy, and student fares are down 60 per cent. The media had to latch on to something negative and is picking on tourism and the park and ride system. It’s ridiculous. The Malta Hotel and Restaurants Association is asking you to reconsider. Are you prepared to do so? No, absolutely not. We think we gave everyone a good deal. In the meetings we had with MHRA we had actually discussed a €14-a-week fare and they thought it was competitive. We established a €12 fare. When your predecessor Jesmond Mugliett launched the park and ride free of charge he said it was free to encourage people to go to Valletta. That exercise worked, and thousands use the service today. Now you say it’s not fair on the taxpayer to subsidise the service and that it’s too cheap to park in Valletta. Isn’t the government sending contradictory messages? When we started the park and ride system we needed to move people from the concept of parking in Valletta and getting a free bus to the city. We changed the V licence concept to a time-based concept which actually put up the cost. It is a success that the car park is full at 8 a.m. Time has moved on and things need to change. This concept that things in Malta should remain the same is incredible. The GRTU is saying it will kill their members’ business. The GRTU said we would be killing their business when we introduced the CVA concept. Now we have a total of 70,000 unique cars driving into Valletta every month. The one thing the reform is addressing is air pollution, caused to a great extent by our buses. What about trucks and cranes? In a holistic review, we need to address that problem. We have a lot of incentives – registration tax for EUR5 vehicles is zero. We might need to start helping people exchange old trucks and vans for new ones. We spend too much money on logistics in Malta. For example, we get four or five drinks distributors’ trucks, six or seven meat providers, among others, driving into Valletta every morning. We must be the only country that doesn’t have a logistics company which collects products from other suppliers and delivers them to shops. That means very uneconomical systems for commercial operators, a strain on air quality and congestion on our roads. We managed to reduce subsidies on the new transport reform because we leveraged the bus. We are reducing the number of buses on our roads by half. Today our buses work on alternate days. With the new system, they will be on the road for 90 per cent of the time. Another subject which doesn’t want to go away is the power station extension issue. While the Auditor General found no hard evidence of corruption in the BWSC tender, his investigation revealed several shortcomings. He made it clear that some witnesses he interviewed did not cooperate. Why are you reluctant to go anywhere close to this subject? This was no ordinary auditor investigation. This was an 11-month investigation which was highly politicised, and highly manoeuvred by the Labour Party. The PL wants to re-examine what the Auditor General did. It’s only fair and right to hear what the Auditor General has to say on Tuesday. Secondly, the Public Accounts Committee is not an investigating committee. I fully disagree that the PAC should be turned into a (Senator) McCarthy style scenario where we play to the media to get the right headlines. The PAC is not the Commissioner of Police or the Commission for Corruption. The PAC examines accounts. The Labour Party wants to put on a show for the media. But the public has a right to know what’s going on through the PAC. If we’re looking for sound bites you don’t get them through Parliament. What people don’t seem to realise is that the PAC doesn’t provide protection for people giving evidence. This isn’t a court of law. Why should they need protection if they have nothing to hide? No one has any protection against what Parliament wants to do. I remember a time when (former Ġakketta Blue official) Charles Demicoli was brought before Parliament during the Labour regime. I don’t want to see those kinds of shenanigans again especially when I’m in government. It is not right to give licence to parliamentarians to do what the hell they like because they’re sitting in that chair. It’s not right for democracy and it’s not right to hang someone publicly – even if it means I will end up looking bad in the media. We have institutions in this country and we have to respect them. When we had corruption issues, the Commissioner of Police came out with flying colours. Parliament and the PAC are not there to substitute them. The extension of the power station is a major contract, bigger than transport reform. The PAC is there to scrutinise public funding. The Auditor’s report left a lot of questions unanswered. Let’s ask the Auditor to answer them. That’s what you’re doing on Tuesday. But why did some witnesses forget certain details? I can’t answer that. Let me put a hypothetical question. If one of the witnesses doesn’t answer something because he feels incriminated, what do we do? He’s not in a court of law and there’s no judge and rules of procedure in Parliament on how to give evidence. What I fear is seeing a repeat of the Demicoli case where we don’t give a damn about people for the sake of getting a headline. Or have we reached a stage where the presumption of innocence is no longer upheld just to satisfy the media and people? But there seems to be a contradiction because a few years ago, you called for an investigation to probe the Audit Office’s conduct in its analysis of the Voice of the Mediterranean issue. Why was it acceptable to undermine the Auditor General’s work then but not now? Because the two cases are completely different. The audit into Voice of the Mediterranean had no political issues latched onto it. The power station issue has been turned into a political melodrama by the Labour Party. Maybe it’s convenient for you to say this has been turned into a political issue. Let’s wait for the Auditor and take it from there. But I will never give up the principle of the PAC’s role. It’s the Labour Party which is trying to do that. But you had done the same thing with Voice of the Mediterranean and you found nothing wrong in interviewing witnesses then. Because the scale of the case is different. This case is much bigger. With Voice of the Mediterranean we started with the Auditor General. We’ve now reached the same stage. So far, you’ve ruled out interviewing witnesses at PAC level. No, we’ve objected to getting witnesses at that stage. So you’re not ruling it out. The Prime Minister made it clear. If you had to do something different in the whole BWSC affair, what would you do? From a public relations point of view we should have been much tougher. I should have gone out in a public arena discussing the issues more than we did. Don’t you realise that this PAC incident is going to remain a dark cloud hovering above the Nationalist Party’s head come the next election? You’ve been in politics for several years. Don’t you think you should do something about the situation now? It’s been dragging on for months. We should do it at the correct pace and in the correct manner – not to satisfy what is conceived to be popular disaffection. In 1976, I had to get out of the counting hall because a couple of revolvers were pointed to my head. After the 1981 election I spent four years going to court because of my connections with Ġakketta Blue. Along with Eddie Fenech Adami, we fought for principles and I will never give up that fight, whether I’m unpopular or not. But today it seems nobody gives a damn about these things, provided we look good in the public arena. No matter how bad I look in the media, I always believe in the principle that the PAC should not replace the Police Commissioner. 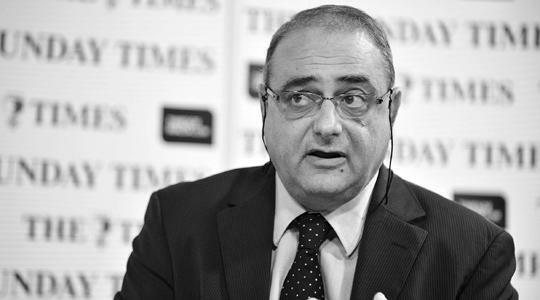 The investments portfolio, involving major companies like Air Malta and the power station, was transferred to Finance Minister Tonio Fenech in 2008. Did you deem this a vote of no confidence in you? There’s that kind of reshuffle after every election. We’re talking about Austin Gatt, one of the most seasoned MPs. I got transport, one of the worst portfolios. When I started off, we didn’t have taxi, hearses, electric taxis, and coaches’ liberalisation – all this was done in three years. I couldn’t spend 10 years in investment. You’ve served for several years in the Nationalist Party, as general secretary, as MP, as a prominent minister. How has your party changed? It’s changed tremendously and it should keep changing. Party organisation and communication evolves. During my time, there wasn’t the communication and the media badgering we get today. The use of IT has changed the immediacy of politics. Today you need to take a decision every five minutes. I think there’s less policymaking today, which is bad... or let me say it’s different. Today, policy is done at a quicker, shallower level than before. In the past there was more time for discussion, more time for analysis. And I think today politicians are generally much less prepared than before – but probably every generation says that. It took years for you to work your way up. Do you think young politicians nowadays are reluctant to wait for their chance to shine? It took me years because I chose a different route. In the beginning I was more involved from an organisational aspect and I only first contested the general election in 1996. Anyone who contests and says he doesn’t want to yield power is joking. Everybody should have an ambition to become a minister. The important thing is to curb your disappointment when you don’t get certain things. Nowadays the disgruntlement from your party has become all too public. That has changed radically, yes. The fact that we have a one-seat majority helps that kind of attitude but I think the Prime Minister is doing a good job. Of course it’s dangerous. But it’s manageable. 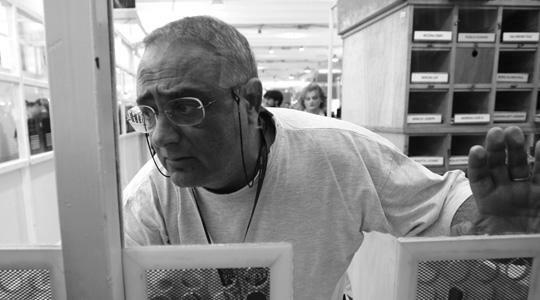 Fenech Adami had a one-seat majority and he had his fair share of free spirits. The million dollar question is: will Austin Gatt be standing for the next election? I contributed to my first election in 1976. Is it because it’s time to move on or maybe you don’t feel part of this party? It’s time to move on. I’ve done a good 35 years in this line. I think it’s time to pave the way for other people. If the Prime Minister keeps me till the end of this legislature I would have spent 15 years as minister. It’s a long time. Does it have anything to do with the possibility that electoral prospects might not be too bright for your party next time round? You can contact a number of my friends and they will tell you I had told them at the counting hall when we last won that this would be my last election. And from then on I said it repeatedly to a number of people. Enjoy time with my wife. Watch excerpts of the interview on www.timesofmalta.com.